Buying gas is an unfortunate reality that most of us are stuck with, and if we’re honest, there isn’t any “real” way around it aside from not owning a car and getting around on foot or by bicycle. There are actually a growing number of people who do that, though for most of us, living that way just isn’t plausible or doable because of the distance we have to drive for work, groceries or other life necessities. The question then becomes: Are there any “real” ways to save money on the gas we buy? Saving a substantial amount of money off your gas bill is difficult, if not impossible, without some severe lifestyle or scheduling changes. 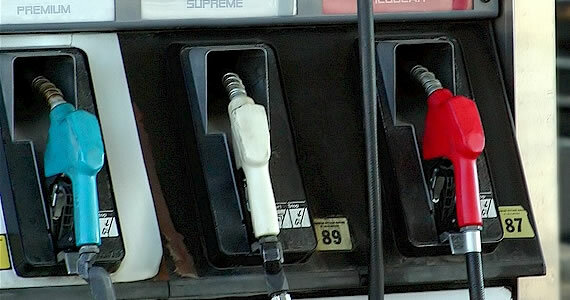 Things like working from home, a different work commute or even buying a new car are some of the few ways that you could really see a significant drop in your fuel expenses. Yet such events are rare and can’t be counted on for everyday savings. At the same time, there are things we can do in the short term, that will save less on gas and tide us over to the day when we can set up our home office and forget about that 45 minute commute. Are there any real ways to save substantial money on the gas we buy? In the long term: Yes. – You can save a substantial amount of money if you plan your life around shorter commutes and smaller more fuel efficient cars. In the short term: Yes, but in smaller doses. – Saving substantial money on gas on a day to day basis isn’t possible; instead, it needs to be done in smaller amounts. Over time your savings can add up, but there’s no quick fix or easy solution. What Can I aActually dDo? When it comes down to what you can actually do that will make a difference, we’ve already discussed some of the long term options, which are pretty obvious to everyone. What I want to do is list a few things you can do in the short term that will help you use less gas and give you more money in your pocket without having to drastically alter your commute or your established lifestyle. So this is a list of simple and practical habits you can get into that will help you use less gas. 1. Use interstates more often. – Interstate driving, though usually done at a higher speed, is much better for your car than city driving. If you’ve got the choice between taking the town roads and getting out on the highway, opt for the highway, where you’ll avoid the stop-and-go traffic that can cut your MPH down by 10 or more. 2. Drive less aggressively. – It sounds simple, but aggressive drivers use a lot more gas than those who maintain their composure on the road and keep a sensible pace. Speeding up and then slamming on the breaks is completely unnecessary and only serves to use more fuel than you would if you just maintained a more reasonable speed and pace. Remember, just because the speed limit is 45 doesn’t mean you’ve got to get to 45 as soon as possible. Go with the flow of traffic and plan your breaking and accelerating ahead of time. I would say that slow and steady wins the race, but you’re not racing, so just take it easy and save yourself some money. 3. Less radio and air conditioning. – Anything turned on in your car uses power, so if the temperature is such that you can get along without adjusting it, or if you can go without the radio, turn them off and it’ll help you get better mileage. 4. Check your tire pressure. – Low tired pressure can kill your mileage and if you don’t have a newer car with an indicator light that comes on when the pressure is low, it can be tough to remember when they need filled. Try and keep up with it as best you can. You can get a small pressure gauge at any auto parts store for a few dollars. Use that to check every month or so whether or not you need air. If you do, most gas stations provide a station where you can fill your tire up for free. 5. Clean out your car. – Any extra pounds you carry in your car will affect your mileage and cause your vehicle to use more power. If you’ve got a lot of extra baggage that you’ve put off cleaning out, get it moved into your house and avoid using your car as a storage unit. I’ve you’ve been carrying around a lot in your car, than removing all of it might actually cause a significant increase in your MPH thereby saving you some nice chunk of change. Make sure to avoid keeping stuff in the trunk longer than you have to, and try to make a habit of cleaning your car out on a weekly basis. Even if you only save a few cents, think of leaving that stuff in your car as the equivalent of throwing a handful of change out your window every 50 miles or so. Jason Benton is a personal shopping assistant who loves hunting down a good bargain. Jason enjoys sharing his tips on shopping websites. Visit http://www.cheapsally.com for saving on essential items.